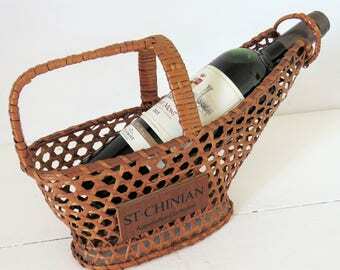 Vintage French lined wicker basket. Lovely vintage basket with a contrast band around the centre. As was often the case this basket was lovingly lined many years ago and the lovely vintage fabric is still in great condition. The basket is still in very good condition. 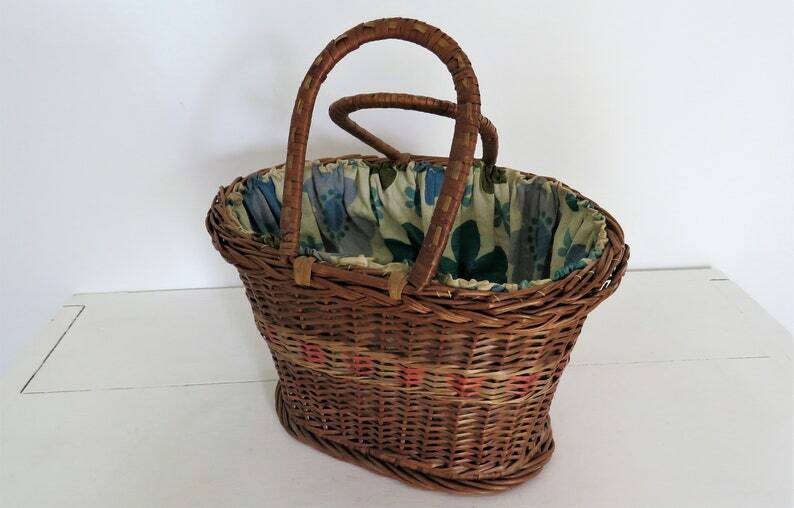 Most vintage baskets have the odd nick and nibble here and there.